We've talked about Saint Germain and the science of alchemy. What really is alchemy? Does this mean that the law of alchemy can only be used for good? Does this mean that everybody will eventually be able to turn base metal into gold? Since it seems that we are destined to be alchemists, where do we start? What does Saint Germain have to say about the white stone and the elixir that we associate with the early alchemists? The inner meaning of alchemy is simply all-composition, implying the relation of the all of the creation to the parts that compose it. Thus alchemy, when properly understood, deals with the conscious power of controlling mutations and transmutations within Matter and energy and even within life itself. It is the science of the mystic and it is the forte of the self-realized man who, having sought, has found himself to be one with God and is willing to play his part. All people use alchemy all the time because alchemy simply is the use of God's energy and a lot of people are misusing God's energy. Saint Germain even tells us that there are those who have wrested the secrets of the universe from certain of the adepts of the ages and that these can and do use this science for evil purposes. But he says that none can escape accountability for the misuse of the sacred fire and the energy of life. The true scientist is a priest at the altar of the sacred fire. He is in the laboratory of the forces of Spirit and Matter. 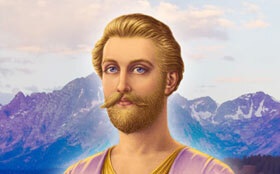 Saint Germain cautions us about approaching this altar. 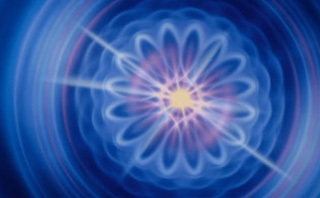 For the way in which we as scientists use the flow of Spirit and Matter for precipitation will determine whether we evolve in the consciousness of God-freedom—which will ultimately propel us into our own ascension in the light and our eternal freedom—or whether we are bound to the shackles of our own tyranny, that same tyranny that we have attempted to impose upon nature. 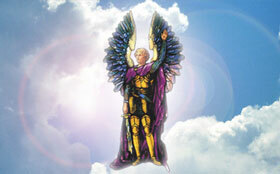 As you know, Saint Germain was embodied among the medieval alchemists of Europe. And as the Wonderman of Europe he did exactly that. Many of the nobility were fascinated and astounded when this man who wore diamonds on every finger and who moved about in court circles would take their flawed gems and return them flawless and priceless. 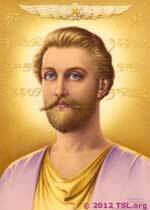 So Saint Germain has demonstrated that science, but he is concerned that we first understand the science of self-transformation whereby we can transform the human consciousness into the divine consciousness through the invocation of the gifts and graces of the Holy Spirit. In Alchemy, he does teach us, however, how to meditate on the molecular structure of the amethyst to precipitate an amethyst Maltese cross. He gives a step-by-step seven-part meditation whereby we can study the chemical composition and the formula of crystals in Matter and, by our meditation on these, actually focalize intense cosmic energies for the good of life on earth. Does that mean we should all practice the precipitation of physical objects? Our whole life is a precipitation! If you believe the ancient maxim that we have created ourselves, you realize that what you look at in the mirror in the morning is the product of your own personal alchemy with the forces of the universe. We have been in the process of creating ourselves for thousands of years. Our very facial characteristics, our body structure, our lifestyle are the results of our past uses and misuses of God's energy. And therefore, alchemists we are, like it or not. Saint Germain comes to tell us that we can be alchemists of the Spirit with the goal of ennobling the race and becoming benefactors of the race in the highest sense of the word. We can be disciples of Christ Jesus and true followers of his example who believe in his words: “He that believeth on me—i.e., the Christ in me—the works that I do shall he do also; and greater works than these shall he do.” It is interesting that the very first miracle that Jesus wrought in Cana of Galilee was the changing of the water into wine, marking him clearly as one of the great alchemists of all time. Saint Germain in his embodiment as Merlin the Magician at the court of Arthur was also the alchemist. And you will recall that important scene in the square in London when the archbishop of Canterbury and the kings and nobles were on hand, and many tried to remove the sword Excalibur from the stone. The stone was inscribed with the words: “Whosoever pulleth this sword from this stone is rightwise born king of all England.” It was Merlin who saw to it that the sword was there, and it was Merlin who gave to the lad Arthur the key to removing the sword from the stone. Thus we see Merlin as the one who anointed the king of the Britons. And we see him again in the role of anointer of kings in his incarnation as the prophet Samuel. So too, our Saint Germain, as the sponsor of America, did anoint our first president, George Washington. As the story goes, this took place just outside of Philadelphia. Saint Germain starts with defining the purpose of our alchemical experiment. The title of chapter two in Saint Germain On Alchemy is “The Purpose of Your Alchemical Experiment.” Saint Germain was embodied as Francis Bacon, and anyone who has ever studied Francis Bacon is truly impressed with his skill as a writer. And those who know his secret realize that he also authored the Shakespearean plays and encoded in those plays certain mysteries of the Brotherhood as well as the mysteries of his own life. Void is unfruitful energy. The alchemist must develop a sense of the value of time and space and the opportunity to manipulate both. Freedom is won by quest and conquest, but mainly by the conquest of the finite self. True mastery of the finite comes through the indrawing love, the compelling, almost magnetic heart call of the soul to its Divine Source. Only the great inflow of the cosmic light of God can release the soul from the imprisoning shadows of its human creation. Summon, then, the purity of purpose that will make your creative design good; relentlessly challenge the base elements that arise like hobgoblins to disturb and try the plan you have begun; then patiently evolve your God-design—the purpose of your alchemical experiment. The white stone is the philosophers' stone that has been talked about and around, but few have discovered its secret. Saint Germain says, “Know thy Self as the white stone.” And this is the Self with a capital S, meaning the Real Self, the Inner Self, the God Self. And so we consider that this white stone is a focal point of tremendous cosmic energy. What is this Great Self? There is really only one Great Self. And if you visualize the universe as a giant piece of white paper with little circles drawn on it like the monads of Leibniz,* you can see each of us as one of the little circles, one of the monads. And when the little circle realizes that its real identity is this vast piece of paper, it is discovering the Real Self, which is the Real Self of all. And it discovers that there is only one Self, and that Self is God. Saint Germain comes to say that when we find this out and when we really know it and can really understand it, then we will get to the key of alchemy, that white stone or that energy that is this Great Self, this great God Source. Now, as long as that little monad, drawn like a circle on the vast piece of paper, thinks that it is the Real Self, it will have no real energy except the tiny portion upon which it is drawn, which is not sufficient to work the works of alchemy. That tiny portion is not sufficient unto itself to transform itself or to experience the great alchemy of which we are speaking. And therefore we need to understand that the surrender of that little circle to the larger piece of paper on which it is drawn is the key to the discovery of the Inner Self. We also need to understand that nothing is lost in that surrender but everything is gained. This is the true path to oneness. It is the true path to brotherhood—the principle upon which the Great White Brotherhood was founded. The ascended masters realize that they themselves are simply circles drawn upon the infinite mind of God and that as they are one in that mind they have the all-power of the universe. But if they were to think of themselves as separate monads, they would lose their power. In fact, if they so thought, they would never have become ascended masters in the first place—because the definition of ascended master is one who overcomes time and space by relinquishing himself as that finite little circle drawn upon the Infinite. He does not fear the loss of identity by the bursting of that membrane but realizes that as he is one with the All, he is then the All-in-all. If the key ideas are not created from within thee who art the alchemist, then the whole act is either hapless or an imitation of the work of another. Now, if it be God thou wouldst imitate, then “Well done!” may truly be spoken of thee; but if the vanity of mankind, then piteous let thy consciousness remain. The True Self of man, from whence cometh every goodly design, is worthy to be consulted as to what it is desirable to create. Therefore, the true alchemist begins his experiment by communing with himself in order to perceive the inspiring thoughts of the radiant mind of his Creator. *German philosopher, statesman and mathematician Gottfried Leibniz (1646-1716) theorized that the universe is composed of countless centers of spiritual energy known as monads. 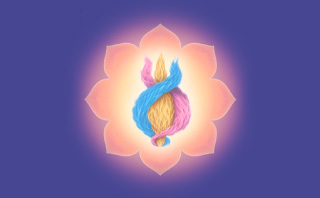 While each monad is unique, has soul-like essence and mirrors the universe, it develops independently and interacts with other monads solely as a result of a harmony pre-established by God.